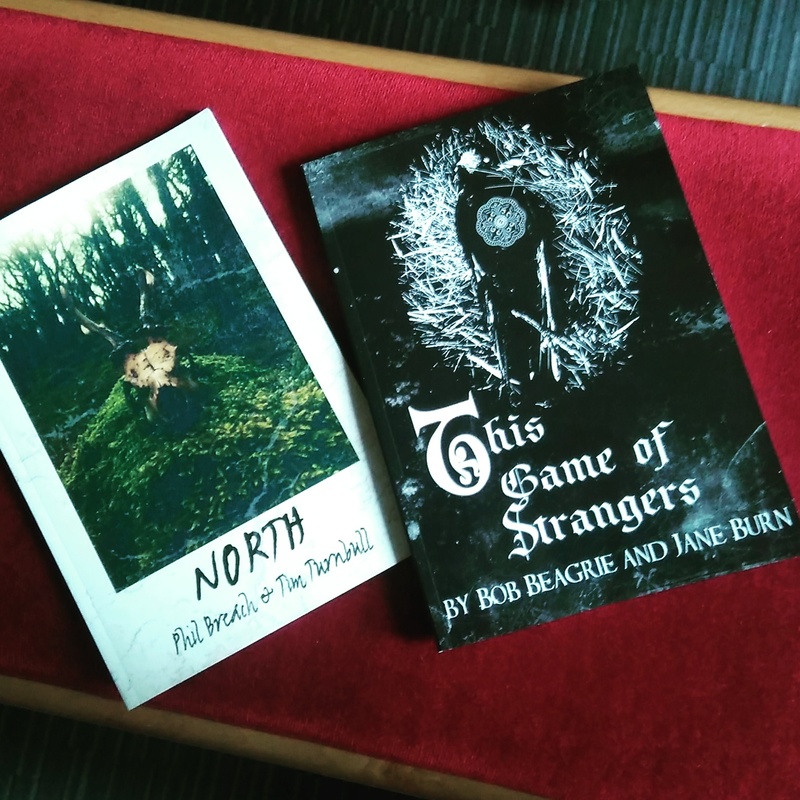 Today I received early copies of Wyrd Harvest Press's two new books: North, by Phil Breach and Tim Turnbull; and This Game of Strangers, by Bob Beagrie and Jane Burn. I have only really had the chance to dip in, so this isn't a review, but both collections, the former a mixture of poetry and prose, the latter poetry, have a powerful sense of place and time. North is a clear-eyed hymn to Northern England, a place where vulpine trickster-gods root in bins and wolves still run, where there's something old and spare and strange infused among the everyday. As someone from the West (not the South, never the South) I find the passages that leap out at me as I flip the pages alien and familiar. This Game of Strangers has a similar sense of space, of living on an old land. 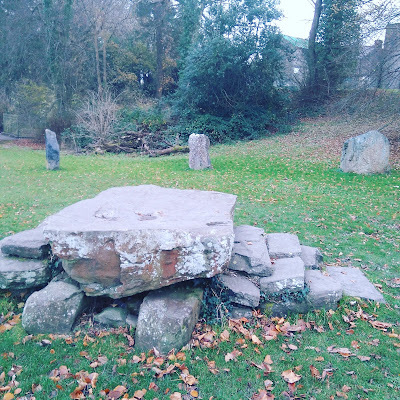 A woman muses on the possibility of living like a princess, in "silk and furs" or being "turned down for a zero-hours contract at Wetherspoons", because the magic and the pain alike come from the same place, stone circles and chain pubs stand on the same land. The title poem, "This Game of Strangers", is a beautiful gut-punch of a poem, a short tale of domestic abuse that says far more than it says, worth the cost of the book on their own. It's too soon for a review, but keep an eye on the Wyrd Harvest Press page (edit: both books are available now). I think they're worth your time and your support. Like all the books there, all proceeds go to wildlife charities. Given the horrors that await them, the foxes need us more than ever. There are several books out now and more to come, perhaps the most useful of which being Folk Horror Revival Field Studies, a fat compilation of essays on film, literature and music. It has the feel of thirty fanzines, all stitched together (and by fanzines, I mean the good kind, with the unfiltered, trenchant interviews and the enthusiastic paeans to films, TV and music. That sort of fanzine). It's basically one of the first-stop guides to the Folk Horror aesthetic, along with Adam Scovell's recent book Folk Horror: Hours Dreadful and Things Strange. Folk Horror Revival (to which Wyrd Harvest Press is connected) has been good to me. A few months ago, I was approached by Andy Paciorek, the founder of Folk Horror Revival, and asked if I'd like to help moderate the Folk Horror Revival Facebook group. Dedicated to the appreciation of folk horror and things of a related aesthetic, the FHR Facebook group recently great to over 18,000 members. 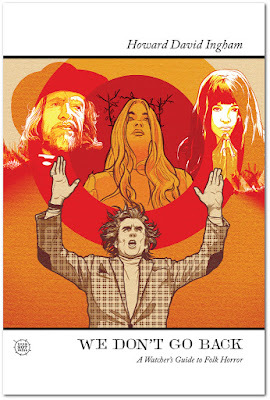 Over the last couple of years Folk Horror Revival has developed a strong, wide-ranging community. Aside from the Facebook group and Wyrd Harvest Press, there's been a wildly successful event at the British Museum; more events are to come across the country. It's a vibrant, positive community that extends its aesthetic to all sorts of weird and interesting places. It's a great place to meet writers, artists and musicians who rock the folk horror aesthetic, and for the last few weeks I've been trying to figure out how to use a forum to offer what they used to call when I was young mad props to some of the people who I found thanks to Folk Horror Revival, both fellow members of the administrative group and people to whom the group gives the opportunity to share their work. Andy and the other admins have been kind and consistent supporters of my writing (I'd be lying if I didn't admit that the FHR Facebook group provides more than half of my blog traffic, or was the reason that I'd even heard of several of the films I've written about) and it only seems right to give some of that back. None of these should be considered official endorsements on behalf of the Folk Horror Revival collective, by the way; these are just my personal picks. Carmit Kordov, as well as being lovely, is an energetic, enthusiastic worker for the ends of a welcoming and positive Facebook group: she's also an prolific artist, and her work is on display here. Kat Beem (a group admin) and Matt Peach's psychodrama/soundscape project The Stone Tapes continues. They're currently running a Kickstarter for their second album, The Kingdom of Mercia. I loved the first one, and I happily backed it. I think if you like that sort of thing (and you can listen on their Bandcamp page, so it's easy to find out if you do) you should support them. Group admin Grey Malkin is the hare out of The Hare and the Moon, another popular beat combo (well, maybe not beat, and if they're not popular they should be). Grey is also a member of The Mortlake Bookclub, a folk horror supergroup along with Anthony Wealls and fellow admins Darren Charles and Melmoth the Wanderer. And that means it's a good time to give a shout out to Roger Linney, whose label Reverb Worship, home to the Mortlakes, and both the Hare and the Moon, as well as Pefkin, Zeuk, some of Sproatly Smith's releases and many others. I've waxed lyrical about Reverb Worship before and will no doubt again. Everything Roger releases is special. Several rank-and-file members of the Folk Horror Revival Facebook group produce regular fiction. For example, HE Bulstrode writes dryly funny tales of the pagan supernatural. It's perhaps counterintuitive to describe supernatural fiction as "avuncular" but I can't think of a better word for it. I'm particularly fond of the ambition of Matilda Groves's Black Portmanteau, an exercise in nested pseudonyms in the form of the diary of a fictional professor from a fictional university in a fictional community on a fictional island. The real-time unfolding of the pagan village conspiracy surrounding the professor is well worth following. Having done it myself over several years, I can tell you that when you write serial web fiction you plough a lonely furrow, but Black Portmanteau doesn't just come from the furrows, it comes from the fields and the forests, too. It's been brilliant and inspiring being part of such a vibrant community. And it's still growing. I'm looking forward to seeing where it goes next.